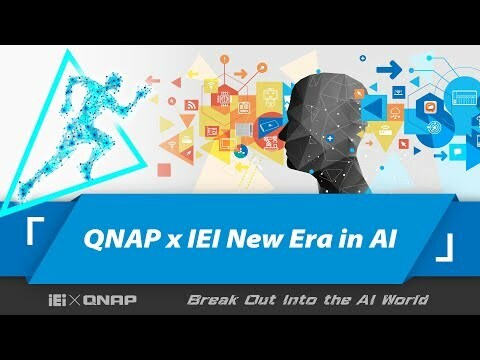 QNAP IoT Solution - QIoT Suite Lite introduction !! A smart home empowered by QIoT Suite Lite and multimedia apps QNAP demonstrates strong, intelligent, Internet-powered integration to empower smart lifestyles with many apps and features. Not only does QVR Pro provide a next-generation QNAP surveillance solution, it also works with QIoT Suite Lite's easy-to-use integrated IoT modules for makers to create customized event-driven recordings. By using the QIVA app, QNAP NAS turns into an IVA server, and users can customize event notifications to devices powered by QIoT Suite Lite. For example, if QIVA detects flames, it signals QIoT Suite Lite to trigger the Buzzer, attached to Arduino Yun, as a fire alarm. Visitors also have the chance to see Fibaro® home automation solutions. While “Cinema28” enables multi-zone media controls to stream media to every device connected to the NAS through HDMI, Bluetooth®, DLNA®, AirPlay®, and Chromecast™, “DJ2 Live” provides an exclusive live broadcasting platform based on a private cloud that supports up to 4K video live-stream broadcasts while storing all the videos on the private, secure, high-capacity QNAP NAS - all help to provide great potential for versatile lifestyle and business applications. “IFTTT Agent” allows productive workflow automation for QNAP NAS. Users can easily create NAS applets to connect various internet-connected devices/services to create simple-but-powerful cross-app workflows. 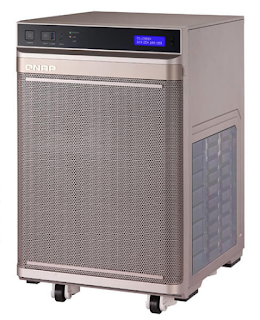 QNAP NAS can also become a wireless base station with the installation of a compatible PCIe wireless network card. With the WirelessAP Station app, users can establish wireless connections for laptops and smart devices, enjoying optimum access speeds and an independent, secure wireless connection.